As a female plastic surgeon, I have the luxury of doing A LOT of cosmetic breast surgery. My passion for breast surgery really began early in my career when I began specializing in very complicated breast reconstruction cases. Today I perform over 200 cosmetic breast cases every year including many primary breast implantation surgeries, complex breast augmentation revisions, and increasingly more En Bloc Breast Implant removal surgeries. 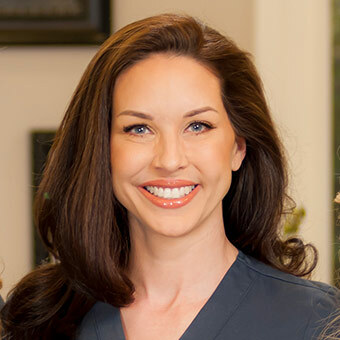 Breast implant revision surgery can mean many things that range from simple implant exchange, capsule removal with implant exchange, capsule removal with implant removal, and even breast lift with implant removal. There are many reasons women choose to have their implants removed. Some are simply unhappy with their results, some have capsular contracture, and some report illness related to the placement of breast implants in their bodies. As a surgeon I believe that these are all valid reasons to have breast implants removed. If you feel that you are unhappy with your implants or suffer from illness that you feel is related to your breast implants, then you should have them removed. That being said, there is no such thing as a breast explant "expert." Any surgeon that can do a great job placing implants, can do a great job removing them. In my opinion, it really comes down to finding a surgeon that can create great cosmetic breast surgery results. This is important because you can have a great cosmetic result, even if you simply want your implants out of your body. So, what can you expect from explantation surgery? While many surgeons make it seem as though all explantation surgeries can be done en bloc, the fact is that this just isn't true no matter whom the surgeon is in some cases. So what is En Bloc implant removal? This is when you remove the capsule and the implant in one piece, with the implant still within the balloon of capsule. Imagine your capsule is like a balloon of scar around the implant. Many times, particularly when I see really old implants, the actual breast implant shell may not be intact, but your capsule (the scar your body made around the implant years ago) around the implant is. In most implant cases, even leaking ones, the silicone is not flying around your body – it is caught by the capsule. This whole capsule can be seen below with the implant inside. Not all implants can be removed en bloc though. For most surgeons, en bloc is always the preference, however there are some circumstances that might change this preference. The most common reason surgeons will not remove it fully en bloc doesn’t happen until the very end of their dissection, when it becomes apparent that the complete capsule will not fit through their incision in tact. When faced with the necessity to create an unattractive scar that the patient will have to live with forever, many surgeons simply choose to quickly empty the capsule to remove it safely through their incision. Another reason some implants cannot be removed En Bloc has to do with capsule variability. This occurs when the capsule is thin and attached to the nearby tissue too tightly, and removing the capsule would involve risk. No matter what the case, breast implants can safely whether it be removed En Bloc or not. If you are interested in learning more, please contact us. Capsular Contracture. What is it? How does it happen and what you can do once it occurs?